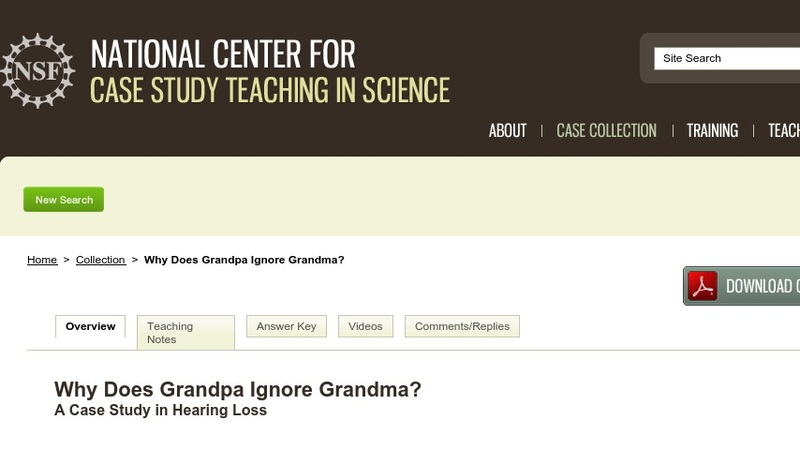 Carla, a first semester graduate student in audiology, has noticed that her grandfather appears to be having trouble hearing what her grandmother says. Other people in the family can’ help but notice it too as it becomes a source of increasing aggravation and strife between Carla's grandparents. Students read the case and analyze data in order to understand the nature of Carla's grandfather's problem. The case was developed for a medical physiology course taken by postgraduate students in physical therapy and physician assistant professional programs and graduate students in a cell and molecular biology program. It could also be adapted for use in general education human biology or human aging courses or in a majors’ undergraduate physiology course.